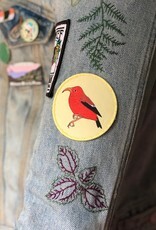 20% of proceeds support the Kaua'i Forest Bird Recovery Project (kauaiforestbirds.org). 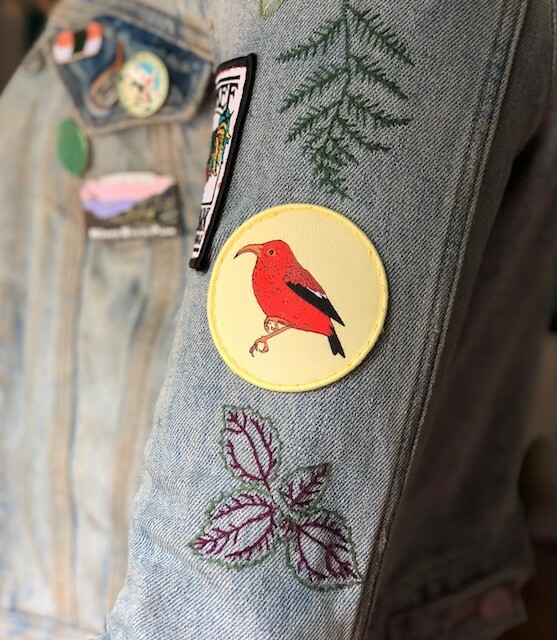 The ‘i’iwi is a Hawaiian honeycreeper that is adapted to feed on the nectar of many native plants. Their feathers were used to make cloaks and crafts for Hawaiian royalty, as they were believed to enhance spiritual power. Today, the ‘i’iwi is in decline. On Kaua’i, the ‘i’iwi population has dropped at least 86% in their core habitat since the year 2000. This alarming trend is due to various factors, including habitat loss and avian malaria. There is a lot of work to be done in order to save this species.